Next sift flour and salt in to a food processor, then gradually add water/oil/yeast mixture while mixing. Alternatively, sift on to a worktop and then form a well on gradually stir in water/oil/yeast and mix with a fork to combine. 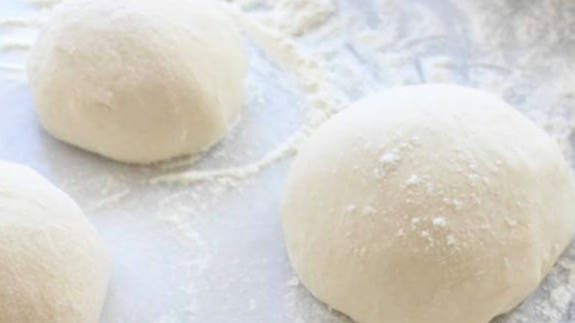 Once all combined empty the dough onto a floured surface and knead using your hands for 5 minutes - then transfer to a "floured" bowl cover with a damp cloth and leave in a warm place for around 45 minutes to rise. When ready "knock out" the dough mixture by kneading it again for another 5 minutes. Divide in to 8 equal pieces for each pizza base and roll out. 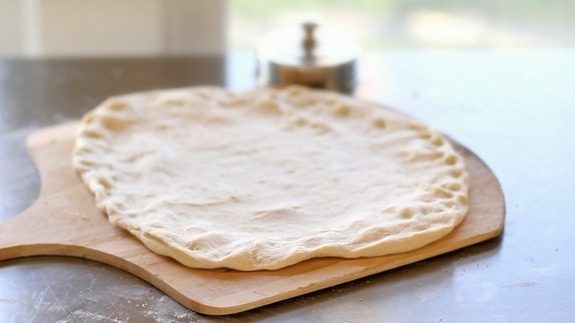 Try and spread the dough with your fingers & hands and throw in the air and spin at the same time. 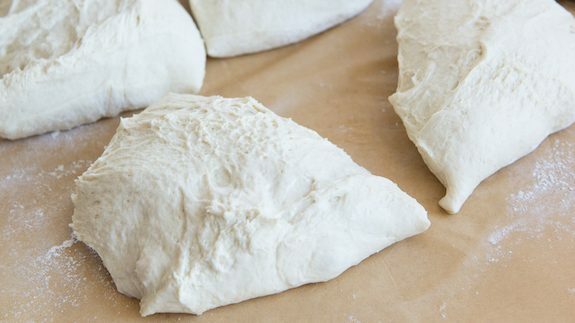 TOP TIP: Catch the dough with the back of your hand so as not to tear it. 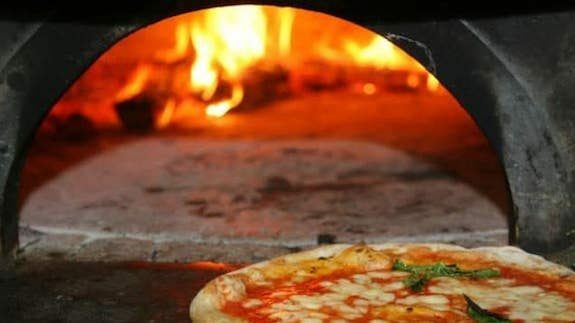 When ready simply add the toppings of your choice!